Focusing on our VIP Clients! Family of 9 who recently traveled to Europe. First, we had a great time; it all went perfectly. Well, nearly all. On disembarkation, Allie had some charges that weren’t paid and she and Jerry (dad) spent an hour negotiating. We thought everyone had cleared their accounts the day before...wrong. The only real complaint was the up-sell on the premium liquor package. We got hot-boxed and fell for it. Six of us paid $198 each for the premium package which wasn’t worth it. We should have stayed on your plan and paid extra per drink/bottle if needed. MSC is very European..maybe I should say international. There were only 50-75 Americans aboard and that was a good thing. I loved the fact that the 4 kids could experience the multiple languages (from staff, too, they were from all over) and the fun-loving non-Americans. We were wimps when it came to dancing and joining...the Euros especially were the first up and the last down. The food was quite good...the first night we were a little disappointed but it improved from then on. They were great about “our table for 9 at 7 o’clock “..had it set and ready each evening. And, the same waiters took care of us nightly and were wonderful. The lunch buffet was actually quite good...needed to figure the timing so you weren’t there with 90% of the passengers, but, other than that it was a B+. Our staterooms were very nice, spacious and well kept. We were all together and our cabin steward took excellent care of us. The excursions went smoothly and were all fun. All of the transportation was “spot on”; your taxis, vans and water taxis were perfect. It’s a beautiful ship and I’d recommend it. Would call it “upper-middle class”! Kristin is sending the pics...she took 300+ but won’t bore you with all of them, I hope. Thanks so much for your care, service and professionalism. We sailed without worry. You should have received Julie’s well written synopsis and I will not attempt to compete with that. I give it a 88 to 90 rating on a 100 scale. Great food and service especially dinner. It was very European in nature so some Gringos might be put off by the big mixture of Europeans who have no idea of spatial awareness except that the elevator and stairs are there for them only. The upsell on the premium liquor package was a disaster but we should have known better A lesson well learned for future cruises. Great rooms and cabin steward was great The staff was the greatest joy for me as I got to speak Spanish with people from Peru, Colombia, Venezuela, and many Central American countries Also a little Portuguese as several staff was from Brazil. The tours were great although I did not go on any of them except the self organized beach tour in Corfu which we all loved. First time to Greece and they are wonderful, friendly, and very proud of their country and Islands et al. Everyone loved Croatia but I was off the boat for an hour or two with my grandson so not much to add there. The water taxis and taxis were right on time, and great service in every case!! Without being snobbish or preachy I hope, I would be careful of sending high income/class Americans as they might be expecting a little more. We loved it as it gave our grandkids a great experience in a lot of various cultures. My grandson played Ping Pong every day with Germans, Italians et al Common sport and most of them knew a little English so he was thrilled. Last but not least, big kudos to you for all the arrangements and suggestions. Our first real cruise and everyone had a ball!! All the best. What a wonderful trip - thank you, Jamey! 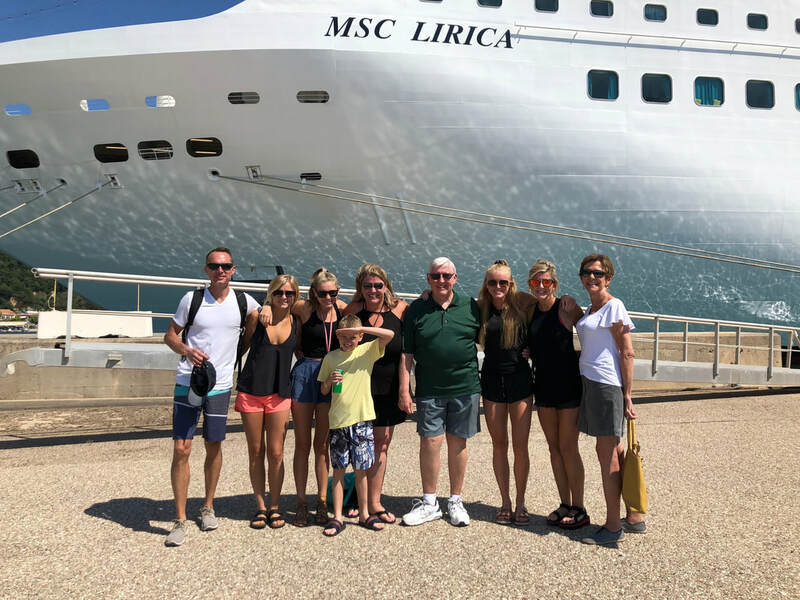 Our family of nine people, ages 9 to 73, sailed on a 10 day MSC cruise that started in Venice with stops in Greece and Croatia. Jamey helped make the entire trip by encouraging us to book specific tours ahead of time and with all of his knowledge and tips that he shared. From the very first day when we got off the plane in Venice, everything went smoothly. Jamey had our transportation completely arranged each time that we needed it from van shuttles to water taxis. Jamey's details before we left were second to none and it helped make the entire vacation seamless. The MSC cruise was very good... they also have a keen eye for detail and the service was fantastic. Getting on and off the ship at different ports was a breeze and the days at sea were fun too. I would say that the food was a strong "B" - it was good but it wasn't anything to gush about. However, the service and the staff on the "Lirica" were A+. (Hint: don't buy any of the upgrade packages when you get on board... trust Jamey when you are booking and call it good. )Greece and Croatia are to die for and I would love to go back - with Jamey's help and recommendations of course. Thanks again! Thank you Battenfield Family for the glowing review! 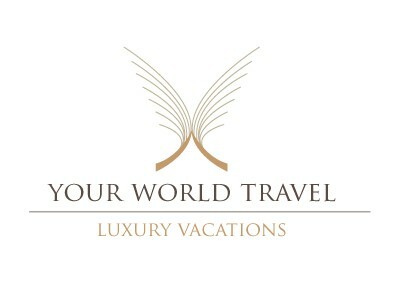 We were very happy to be able to assist you with planning an unforgettable vacation adventure! We look forward to sending you and your family on your next adventure in the future. Thank you for the trust you placed in my agency and allowing us to share in your wonderful vacation by sharing pictures and stories about your trip.